“Amish romance?” Followed by a short chuckle and perhaps the question “what is Amish fiction?” When I tell friends and loved ones what I edit, a confused giggle is the typical response. I get it! To anyone outside of the Christian fiction sphere (and even to some inside of it), Amish romance is a complete unknown. But it is a huge category in Christian fiction. About ten years ago, we thought it was a fad in the romance genre, but what was once a fad is now a legitimate subgenre with loyal and dedicated fans, eager for each new release. So . 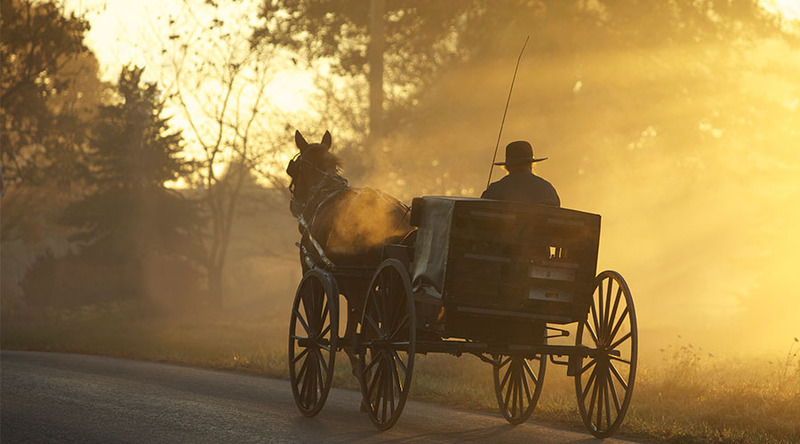 . . What is Amish fiction? But what is it, exactly? And why Amish? If you aren’t familiar with the Amish faith, they are Christians who believe they should remain separated from the world. This means they are typically living off of the grid: no electricity or telephones in their homes; their children are educated within the Amish community; and they dress conservatively with women covering their hair with bonnets. They don’t drive cars, using horses and buggies for transportation. For the most part, they live by the land. Each Amish community makes its own set of rules, so some are more lax (allowing the use of cell phones for business) while others are very strict. But as with their dress, they are very conservative when it comes to interactions between men and women. They sit separate from each other during church services (held within the homes or barns of community members), and courtship, while private, is expected to be chaste. This is by no means a full picture of the Amish faith! There are many intricacies about it, as with any faith. I encourage you to dive into more research about this community of believers. But why read and write books about them? Especially romance novels? My belief is that it offers readers a chance to escape to a simpler place in our current times. How many times do we want to turn off the news, put away the phone, slow down, and get back to a simpler way of living? But for many of us, we can’t slow down: We have kids to pick up from school, emails to return, calls to make, tweets to retweet, and Instagram photos to like. Escaping into Amish fiction reminds us of what it means to live off of the land, to rely on family and community and faith. The relationships are innocent but bound by the strict order, in many ways similar to the strict societal rules of Regency England, another popular setting for romances. And the food! Comfort food at its best, homemade with ingredients typically homegrown. If you haven’t picked up any Amish fiction, may I suggest starting with an Amish story collection like An Amish Homecoming? These are collections of four short stories (about one hundred pages) by some of the best of Amish novelists. Or if longer fiction is more your style, check out Amy Clipston’s A Place at Our Table, Kelly Irvin’s Upon a Spring Breeze, Beth Wiseman’s Amish Celebrations, Kathleen Fuller’s Written in Love, or Ruth Reid’s Abiding Mercy, all firsts in series.